Astro On The Go Campus Roadshow Event! Being a student really is quite fun, sometimes beneficial too besides the constant struggle to keep up with our assignment and hoping we aced it. We have plenty of student privileges ranging from 10-20% student discount to RM8 per movie ticket and even to FREE goodie bag from random events. Of course, being in Taylor's Lakeside, I have seen constant roadshows from different companies ranging from financial firms to entertainment industries. Some were really generous in giving away free goodie bags but some were a little more, constrained. On to the main point, Astro is currently having their roadshow all over Klang Valley. I've just seen one in Sunway Pyramid yesterday. Not to worry, Astro has and will be placing their roadshow in various campus around Klang Valley as well. These roadshows are more dedicated to students like us. After all, I heard there are free goodie bags, gifts and freebies awaiting you. Some of you may have already seen those roadshows, especially for those who are currently studying in TAR, Taylor's Lakeside or even Inti. The roadshow has been going on daily from one campus to another. If you have missed those roadshows, worry not. There are more coming your way. There will be games, prizes and lots of goodies to be won as well from these roadshows. Furthermore, stand a chance to win FREE One month access to premium content on Astro On The Go! There will also be free gifts and Astro merchandise for each sign-ups on a first come first serve basis. 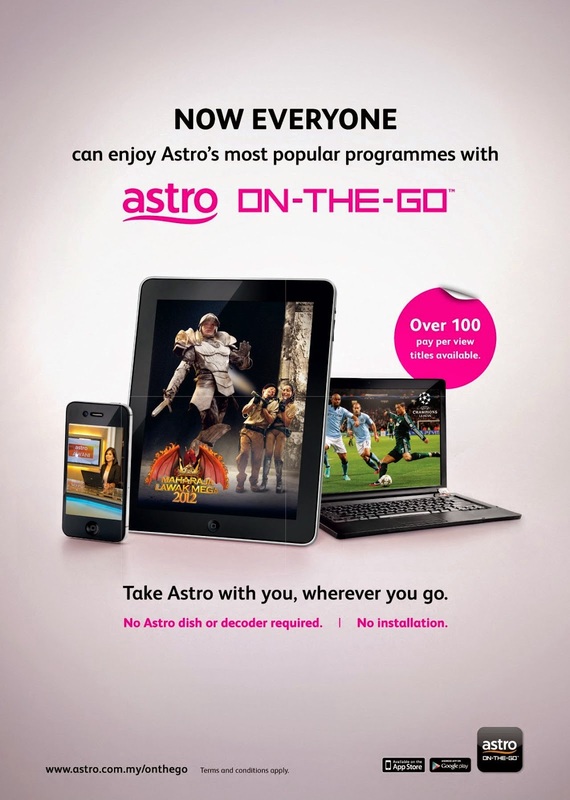 Astro On The Go is simply an application, on Android or Apple which allows you to stream Astro on your desired devices. It's actually that simple. Not installation (satellite dish) nor decoder required! So spare some time, head down to the nearest roadshow event at any campus, play a few games and perhaps, sign up for Astro On The Go for exclusive Astro merchandise and free gifts today!